1 privatre bathroom with shower, sink, wc, bidet, 1 bathroom to bedroom 1 shared with children bedroom with shower, sink, wc, bidet, 1 bathroom to bedroom in the basement with shower, sink, wc, bidet, 1 guest bathroom with sink and wc, 1 bathroom in the pool house with sink, wc and shower. With a family of 8 we had a great 10 day holiday. 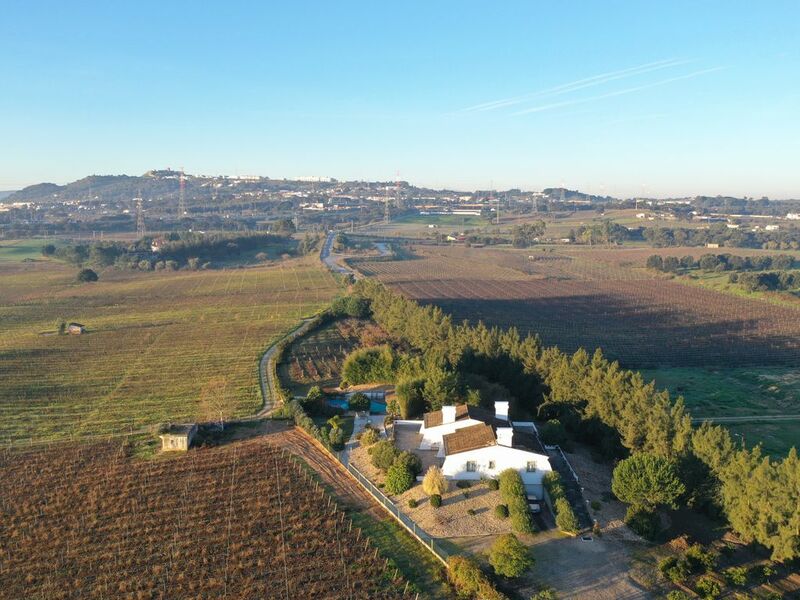 The house is spacious, comfortable and is located between the beautiful muscatel vineyards. Especially the pool house with fully fitted kitchen and terrace are a great area to relax. The beautiful coast, Setubal and Lisbon are all within a short distance from the location. The owner Joao is very friendly and helpful and provides a good customer service. Nous avons passé quinze jours très agréable dans la maison de JOAO.L a maison est très spacieuse et très bien équipée .Le coin piscine est top ! J’ai été très satisfaz-te de ton séjour !J’ai été très contente de t’avoir de retour! This holiday villa is really heaven on earth! The house and the rooms are very spacious and are provided with an airco system. We spent most of the time in the pool area, in the pool house is a large kitchen, wirh everything you need, outside is a barbecue and a pizzaoven, the only thing what's missing is hot water in the pool house. In the middle of our 2 week holiday came a cleaning lady, to change the sheets and towels, and clean the house, the poolboy came, and a company came to do the garden. This is a very nice house located in the center of nature, i would recomend this house to everybody who likes a nice and quiet holiday. Farm to stay in...located near Lisbon and only at 30 minutes from Lisbon, near Serra da Arrábida and Sado river estuary. The villa is a mix of luxury, tranquility and privacy. This farm is about 10.000 m2 and is surrounded by peace and protection controlled by a sophisticaed alarm system. Views over Palmela castle. Near Kartódromo Internacional de Palmela 2 km, Castelo de Palmela 2 km.